Klein has five biological children and two step-children. All but the youngest are now adults. While Mary’s Way has much to offer to all moms, those who are a bit further along in the parenting journey – struggling with teens and/or young adults – will derive the most benefit from Klein’s hard-won wisdom. The Chapters in Mary’s Way are centered on the key moments of our Blessed Mother’s life as revealed in Scripture: The Annunciation, The Visitation, The Birth of Jesus, The Presentation, The Finding of the Child Jesus in the Temple, The Crucifixion, and The Resurrection. Mary’s example in each of these moments offers lessons to us as we make our may through life and our mothering journey. 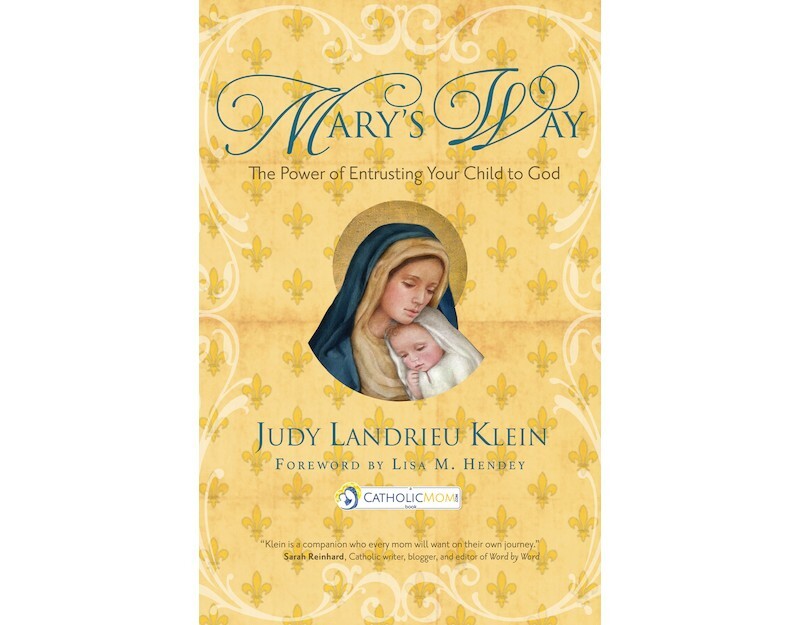 Klein interweaves her own spiritual journey and what she has learned from Mary. She shares how she made her way back to the Catholic Church, her struggles with unexpected pregnancies (both her own and her daughter’s), a daughter’s mental health difficulties, a son’s addiction, as well as the loss of her husband and her brother and sister-in-law. There is a great deal of pain and suffering in these pages and Klein is brave to share it with us so that we may learn from her example and marvel at the way God and Mary have worked in her life. In spite of the trials, Mary’s Way is ultimately a story of hope, of finding that Resurrection experience in the midst of the darkness, of being able to celebrate with Mary when her Son conquers death.